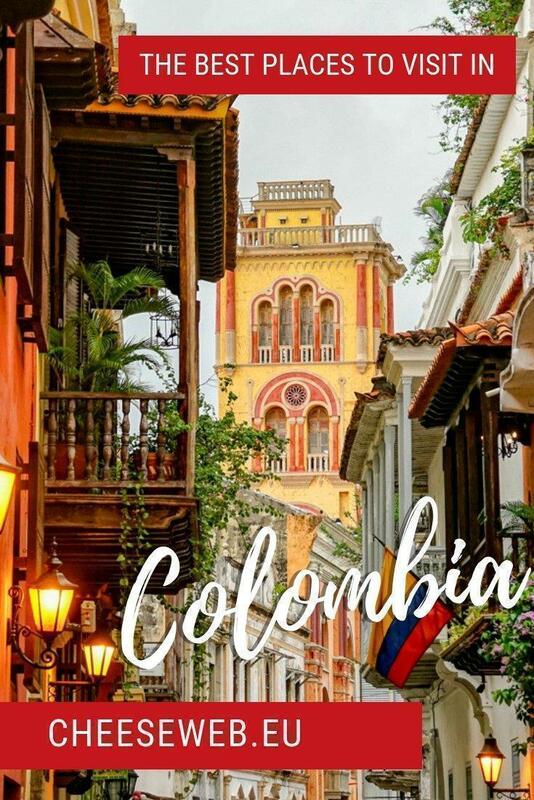 Colombia was recently named one of the top travel destinations for 2019 but many travellers wonder where the best places to visit in Colombia are. Catherine shares her tips for both on and off-the-beaten-path destinations in this South American destination. Colombia has a ton to offer travellers. From sandy beaches on both the Pacific and Caribbean coasts to the magic of the Andes Mountains to the lushness of the Amazon rainforest, there is something for nearly everyone. Plus, it is a cultural experience like none other, reflecting both its native heritage and the influence of Spanish settlers who arrived during the 15th century. And, if you love your morning cup of Joe, a Colombian coffee experience is a no-brainer. Colombia is located on the northern side of South America. The nation is bordered by Panama to the northwest, Venezuela and Brazil to the east, and Ecuador and Peru to the south. Additionally, Colombia has shorelines along both the Caribbean Sea and the Pacific Ocean, and the best beaches in Colombia aren’t restricted to just one coast. The country of Colombia has something to offer nearly everyone. Do you have a sense of adventure and want to explore rolling mountains, walk through magnificent rainforests, or see rare species in their native habitat? 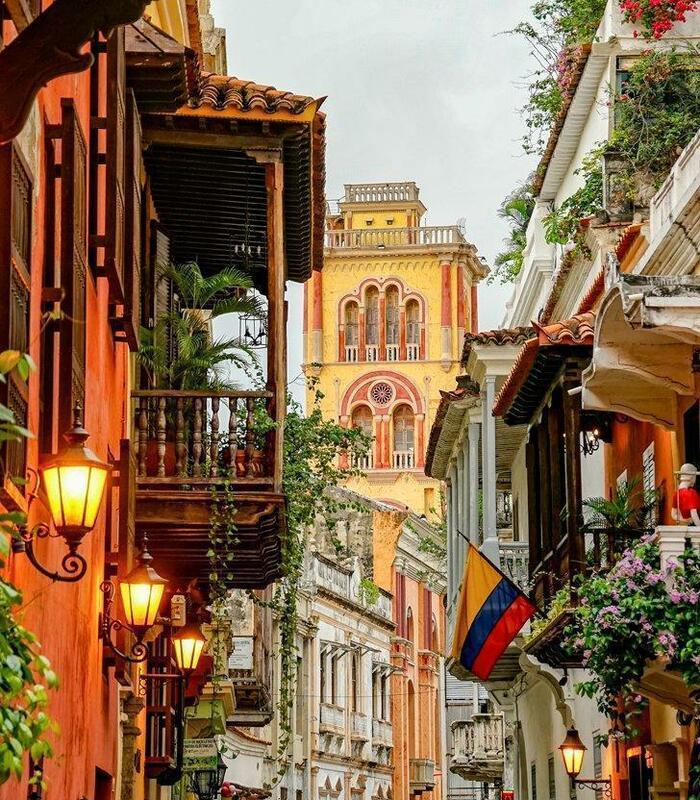 Colombia is an ideal destination. Do you want to stretch out on the sand and relish in a tropical paradise? Colombia is a great choice. Does your perfect vacation involve exploring native cultures and historical sites? Yes, Colombia has those too. There are so many places to visit in Colombia, and they all offer something unique. It’s a gem of a destination that doesn’t end up on many travellers radars, meaning they are missing out on something extraordinary. Every nation has its “good” and “bad” areas, and Colombia is no different, even if its reputation suggests otherwise. In reality, some regions are incredibly welcoming to visitors. Plus, Colombia is relishing in its hard-earned peace, leading to a cultural renaissance that supports a growing food scene, ecotourism industry, and much more. Colombia’s rate of violent crime is actually fairly low, even compared to some US cities. Theft and scams are typically the only common crimes, and savvy travellers can avoid most of that risk by remaining aware of their surroundings and using common sense. If you don’t have a lot of time to spend in the country, focusing on the best places to visit in Colombia simply makes sense. You can concentrate on Colombia tourist attractions, taking a more traditional approach to your trip, or deviate from the more popular Colombia vacation spots to experience something more unique. 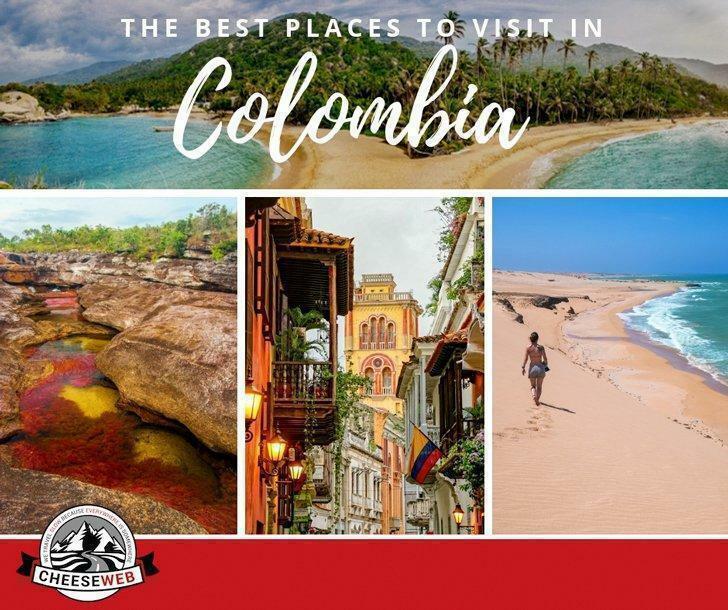 Whether you are looking for things to do in Colombia or just want to kick back and relax during your trip, here are the best places to visit while you are there. Fans of the movies may want to add Cartagena to their list of destinations in Colombia. The high-energy city is where Joan Wilder, Kathleen Turner’s character in Romancing the Stone, begins her amazing adventure, making it a fun option for cinephiles. However, you don’t have to be a movie aficionado to enjoy Cartagena. Being a valuable seaport and constantly fought over by a range of countries during the 16th to 18th centuries, Cartagena was heavily fortified, and evidence of those efforts remain today. The older portions of town are also incredibly colourful, making their colonial architecture vibrant and engaging. 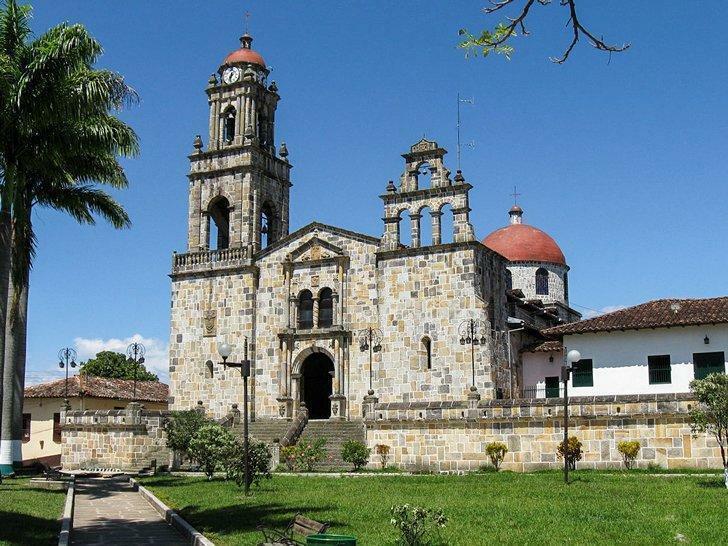 Plus, there are numerous Colombia attractions here, including palaces, churches, and museums. If you picture Colombia in your mind, you probably imagine a bright and bold small town like Guatapé, making it ones of the best places in Colombia for an authentic experience. 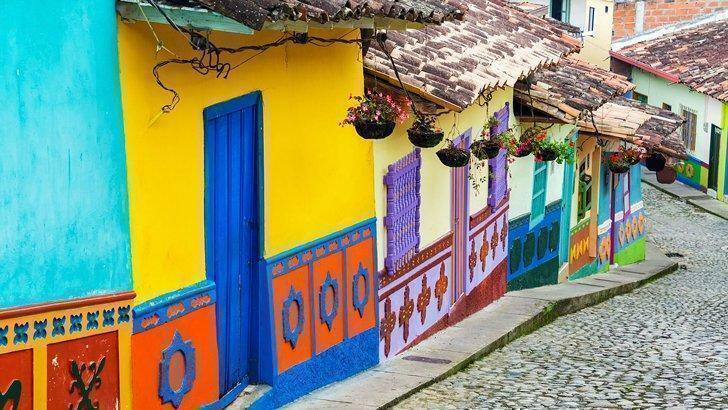 This colourful destination is the quintessential example of Colombian cobblestone streets and buildings with tile roofs; all painted in hues reminiscent of your first box of crayons. It’s the perfect town for wandering, so don’t worry about a strict itinerary if you put Guatapé on your list. 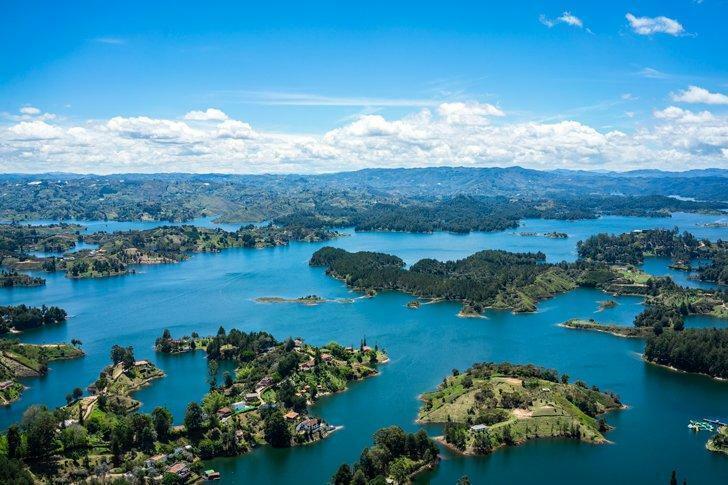 If you are pressed for time, there are options for day-trips to Guatape from Medellin. 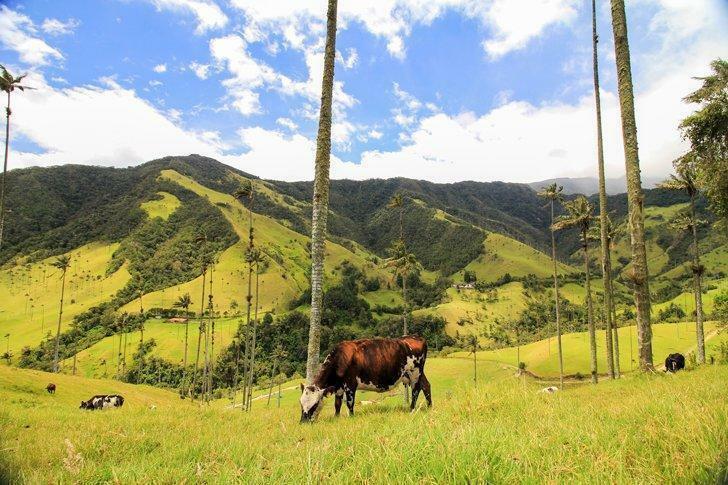 A trip to Valle de Cocora is unlike any other, making it one of the best things to do in Colombia. The emerald green landscape is often covered by a fine mist, making it almost ethereal, while portions of the area are near otherworldly, thanks to the fields of Palma de Cera, the tallest palm tree species in the world. 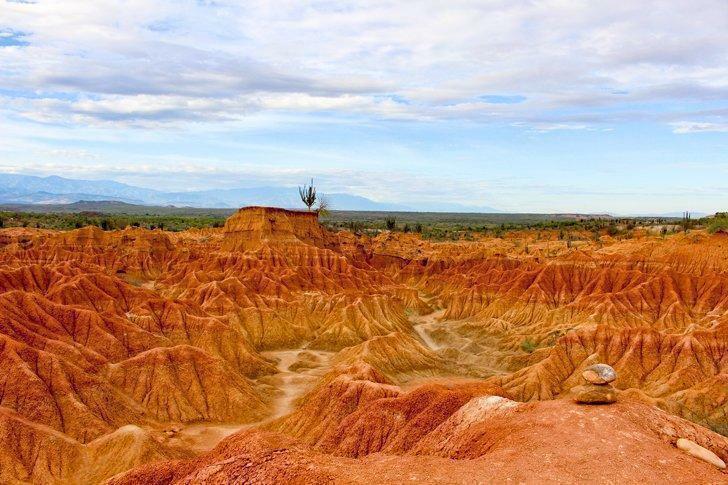 The Tatacoa desert lies about halfway between Bogotá and San Agustín, featuring breathtaking red cliffs and gullies shaped exclusively by nature. The region is home to over 72 bird species, making it ideal for birdwatchers, as well as everything from scorpions to weasels. It is also dotted with fruit-bearing cacti, so make sure to opt for sturdy shoes if you want to explore the area. You can even do an overnight stay in the desert. Some of the best beaches in Colombia are found in Tayrona National Park. 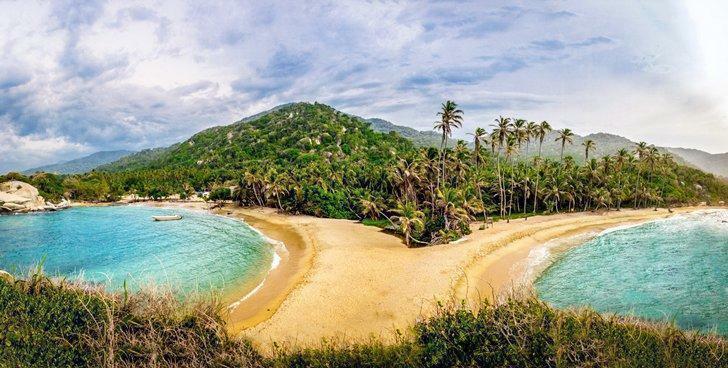 If you enjoy exploring old ruins and connecting with nature, then Tayrona National Park is one of the top things to do in Colombia. Situated along Colombia’s north coast, the park is home to a range of ecosystems, including everything from cloud forests to swamps. Plus, Tayrona National Park is considered one of the top places to go in Colombia thanks to its magnificent beaches. You can enjoy a dip in the deep bays or simply kick back under a coconut palm and devour a great book in the shade. Snorkelling is another popular activity in Tayrona National Park, as the clear, blue waters make for fantastic viewing opportunities. 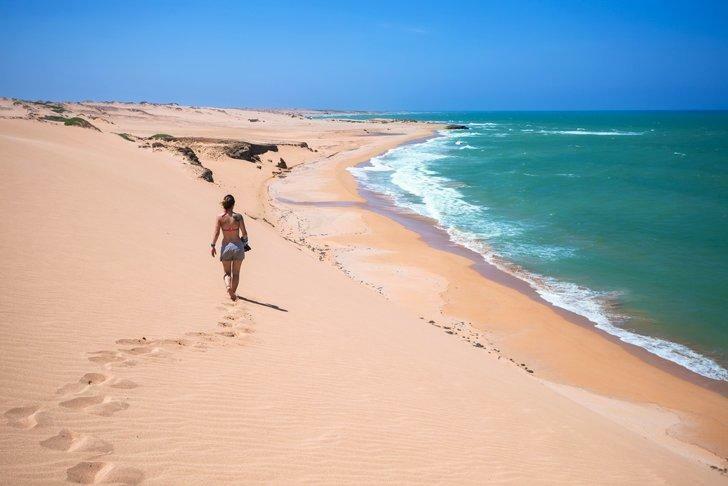 The Taroa Dunes, Guajira, Colombia feels like a world away. La Guarjira feels worlds apart from many other destinations in Colombia. The arid, desert landscape is as foreboding as it is beautiful, with rolling dunes or Tarao or sun-scorched earth stretching out toward the captivating blue waters of the Caribbean. Whether you want to swim, sunbathe, or just capture some pictures worthy of sharing, the Taroa Dunes are a unique place to visit. Las Gachas, the natural plunge pools in the Santander region, is an ideal destination for travellers who prefer areas that aren’t as frequented by tourists in comparison to better-known regions. A natural attraction, Las Gachas remains unspoiled, allowing those who visit to appreciate its unique beauty. Plus, the nearby city of Guadalupe has a welcoming but relaxed vibe, featuring a handful of restaurants and small hotels to keep visitors happily fed and housed. Home to a variety of museums and attractions, La Candelaria is the historic section of Bogotá. You’ll find Spanish colonial architecture coupled with modern graffiti murals, making it a unique segment of one of the most popular cities for travellers. 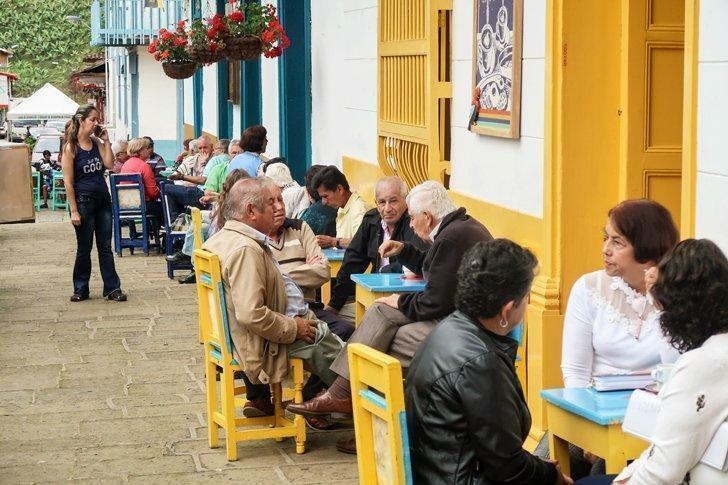 Plus, the neighbourhood is filled with opportunities to experience local cuisine, so foodies should certainly add La Candelaria to their list. 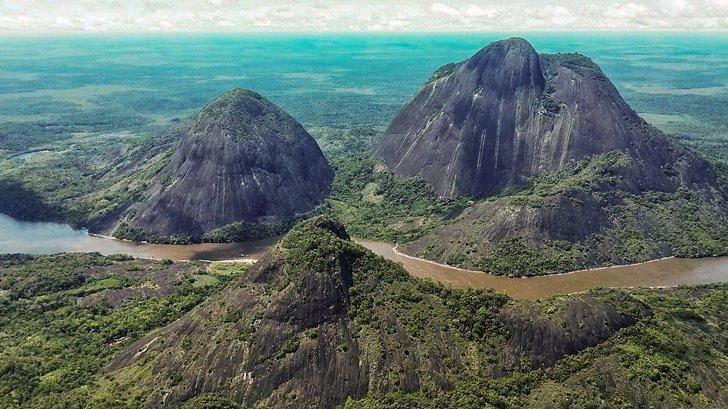 The Cerros de Mavecure are a beautiful natural attraction in Colombia. 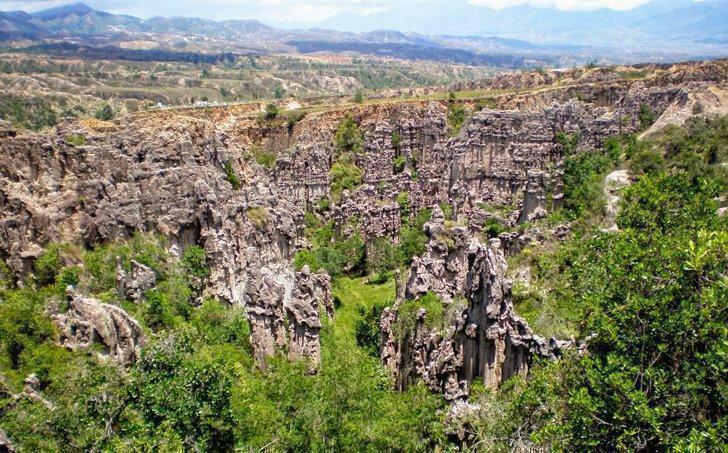 Located in eastern Colombia, Mavecure Hills, Guainía, is one of the least visited wonders in the country. The three large rocks make for excellent rainforest viewing, allowing you to take in the vastness of the jungle from a single point. Plus, wildlife abounds near the Mavecure Hills, including numerous bird species. 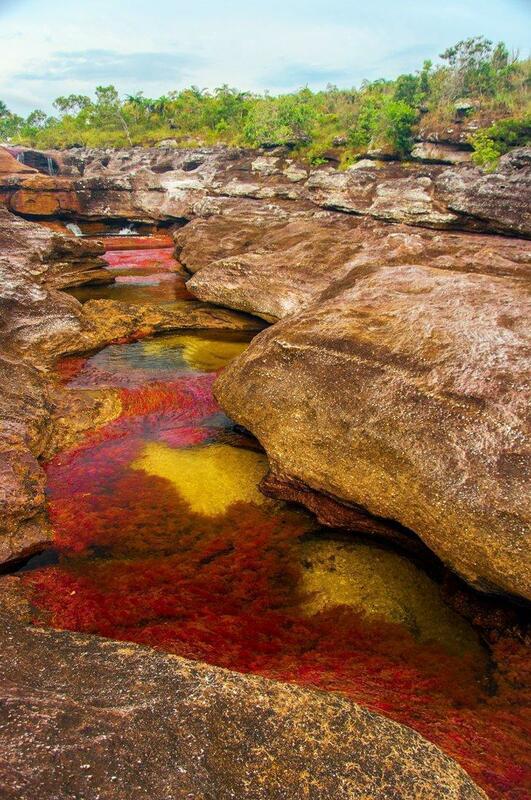 A remote river canyon in Colombia’s Orinoquía region, Caño Cristales draws in hikers from around the globe. Between July and November, algae blooms turn the waters of the river a rainbow of colours, making it the best time to visit the area. Just make sure to plan for your journey. La Macarena, a small outpost that serves as a basecamp for hikers, can only be reached by air, so you have to secure a flight from either Bogotá or Villavicencio if you want to explore Caño Cristales. If you want to become one with the Colombian wilderness, make a trip to Tuparro National Park in Vichada, near the border of Venezuela. 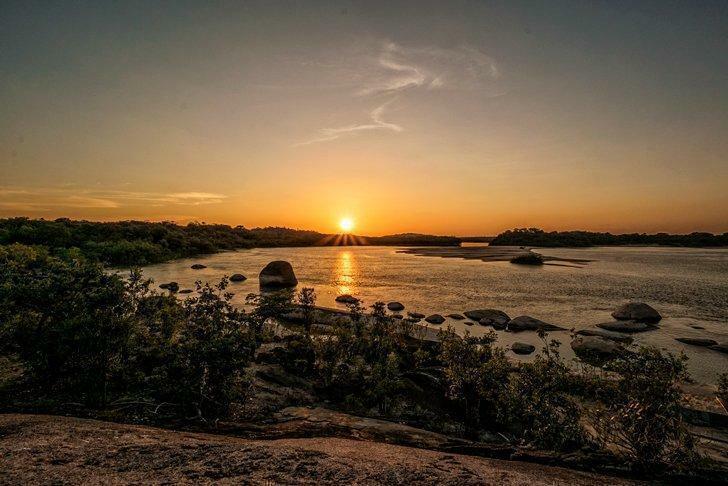 The region is filled with jungles, savannahs, and rivers, but only a small area is open to tourists. However, you can still explore waterfalls, rock formations, the Maipures rapids, the Orinoco River, and much more. Plus, the park sees only a few hundred tourists each year, making it an excellent option for those who want to take a path less travelled. The small town of San Agustín is a perfect choice for enjoying a laidback vibe, stunning landscapes, and the remnants of a long-gone civilization. Over 500 statues, monoliths, sarcophagi, and petroglyphs call the archeological park home. Many of the carvings in San Agustín were created between the years 100 and 1200, giving visitors a glimpse into pre-Incan cultures that are still shrouded in mystery today. 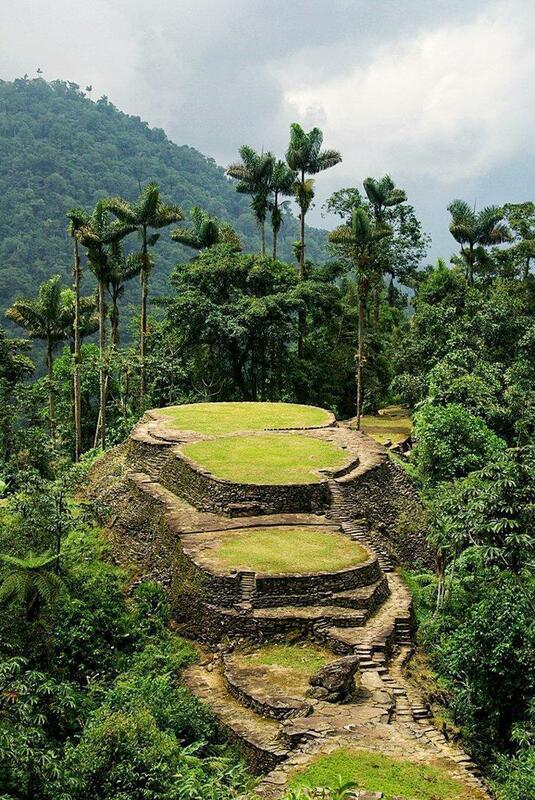 If you are looking for the hiking adventure of a lifetime, the four-day, 44-kilometre journey to Ciudad Perdida is ideal. 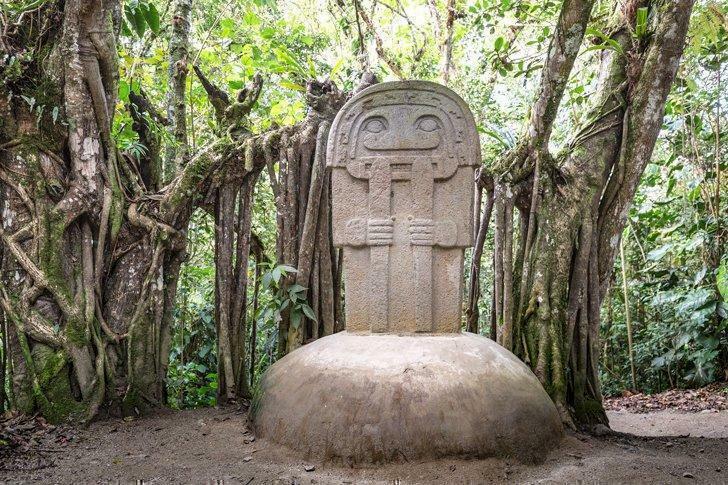 The Lost City is nestled deep in the Sierra Nevada de Santa Marta mountains and is believed to have been built between the 8th and 14th centuries by Tayrona Indians. However, it wasn’t rediscovered until the 1970s, and much of the ancient site is still buried beneath the jungle foliage. Excavation in the area has mostly been banned, ensuring the area remains pristine. Jardin is a vibrant and beautiful place to visit in Colombia. Known for its brightly coloured houses, vibrant floral displays, and delectable milk candies, Jardín is a beautiful town that has remained largely untouched by the passage of time. 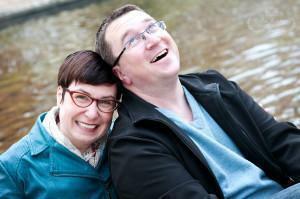 Visiting is like taking a walk through history, and the vibe is incredibly mellow and serene. Active nature lovers also favour Jardín. The hike to Cueva del Esplendor is challenging, but those who take on the journey get to enjoy stunning caves and breathtaking waterfalls, all just a few hours outside of the city. Until just a few years ago, planning a trip to Los Estoraques Unique Natural Area wasn’t wise due to Colombia’s civil war. However, now that peace has been achieved, marvelling at the astonishing rock formations doesn’t pose much of a risk. This geological wonder features red sandstone cliffs that have been transformed into stunning pillars thanks to natural erosion from rain and wind. Plus, you can stay in nearby La Playa de Belen, a colonial-style village that is an official National Heritage town.